The 11-member Senate Education Committee and a hearing room full of education professionals, lobbyists and school and minority advocates generally agreed that the Legislature should scrap the way it divvies up the more than $40 billion of state money now spent on public schools. “You’ve basically gotta blow it up,” said Ray Freeman, deputy executive director of the Equity Center, which represents property-poor school districts. There was little such agreement, however, on what to do instead. Conservative lawmakers, expressing exasperation with suggestions that the state isn't spending enough on schools, have begun searching for a system of benchmarks that would tie state funds to how schools perform, not primarily how many students they enroll. Educators and advocates from small schools and poor districts fear the stage is being set to sacrifice struggling schools on the altar of "efficiency" and argue lawmakers should close the wide gaps between districts before using money to reward or punish districts. Lt. Gov. 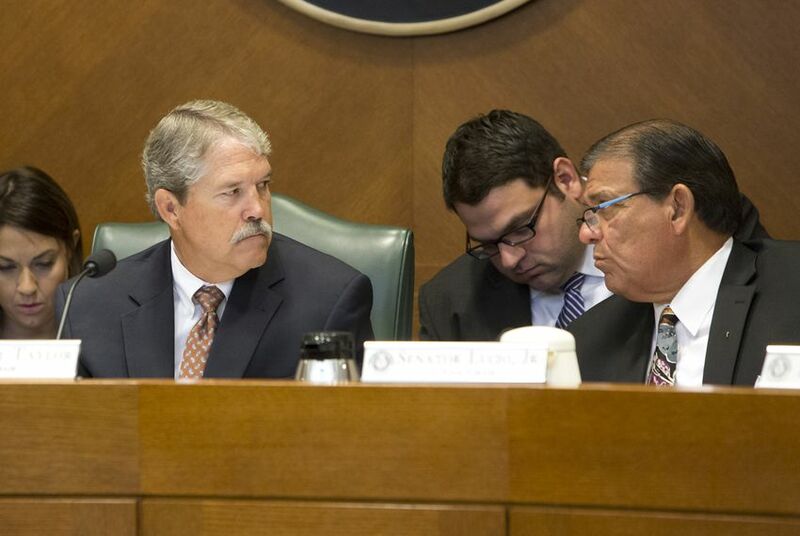 Dan Patrick instructed the panel to re-examine school finance before a May state Supreme Court decision that upheld the school finance system as constitutional but urged lawmakers to overhaul a process it described as flawed and byzantine. In what could be the only hearing on the issue, Wednesday's meeting gravitated toward the points of friction that have long bedeviled such explorations. Officials from several companies, and one university researcher, testified about ranking systems they have developed to compare the money schools spend to student academic performance. They argued that public education overall would improve if lower-performing school districts were required to mimic the best practices of the most efficient school districts. State Sen. José Rodríguez, D-El Paso, said he wasn’t sure how lawmakers could feasibly require a tiny district like Fort Davis in West Texas to mimic the practices of a larger, better-funded district. It has had to cut its UIL program because of lack of funding, he said. The education panel will publish official recommendations ahead of the 2017 legislative session.